A new year begins and somehow everything becomes fresh and different. But it quickly has a tendency to become the same-old, same-old routine. Creativity is often elusive. Internal mental blocks and external critics stifle us. We know we want to be creative, but we often run out of ideas. Always entertain endless wonder. I’m amazed how many things around me raise questions. Until we know everything (never! ), we should have endless wonder. Swiping through Pinterest (follow me at www.pinterest.com/markmac1023/) raises so many questions. From watching a movie to viewing a co-worker doing something, there are so many questions that need answering. Take the time to ask questions like: Why did they choose to do it that way? Why is that popular with that audience? How would I do it differently? How does it work? What are they thinking while participating? Ask these inquiries in order to improve, understand and innovate. Doing something a bit better for your particular audience is still creativity. Know the fences. There are always limitations since no one works in a vacuum. Every designer, inventor, and author has boundaries they’re working within. I find it almost impossible to work on a creative project when a client says “anything goes” because we all know this rarely proves to be true. When a child plays in a field with no fences, they tend to stay in the center of the playground. Add fences, and they start to push the boundaries and have more fun, utilizing the entire space. Don’t know where the fences are? Establish them. Set time limitations, branding definitions (fonts, colors, design standard, etc), or artificial limitations that make you think differently within the boundaries. 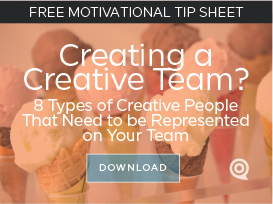 True creativity is making something work within contracting boundaries (especially when others can’t or won’t). Practice connecting the dots. Being creative out of nothing is close to impossible. Creativity is really connecting two seemingly different concepts in an unexpected way. Most innovation is combining known elements in a different manner. Start with what you know and consider a simile or metaphor: This church event is like (add anything here). For example, this church event is like a buffet; and then you explain the reason: i.e. because it requires money, a line, and a choice. Except, don’t stop with the obvious. Keep pushing the limits until a creative idea springs from it. It’s also great to have other people trying to out-connect your dots. Creativity is better when done with someone who challenges and encourages the results. 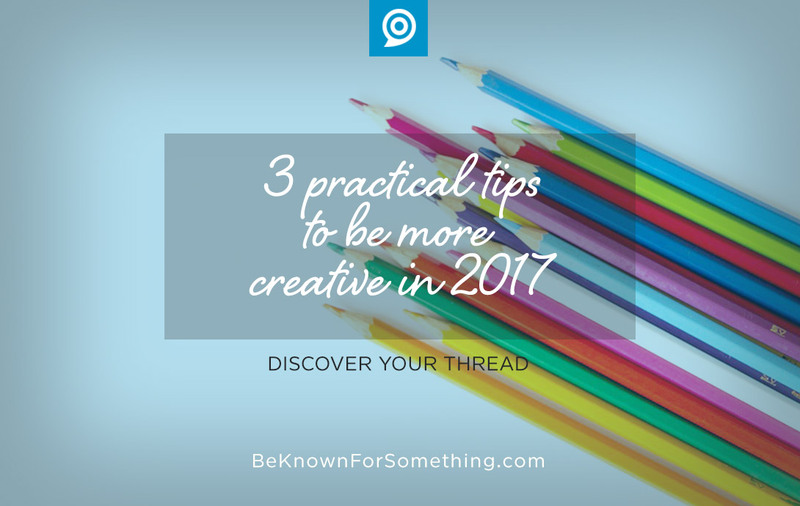 Let 2017 be an amazing year of creativity for you and your church. Don’t be tempted to judge the ideas as you come up with them; simply discover a lot of them. Write down everything. THEN, decide the best path to choose. Have fun and allow time to let the process work.